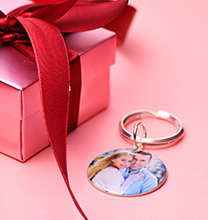 Express yourself beautifully with our Love Circle in Silver! 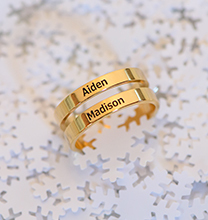 This exquisite piece is certain to make their heart melt, thanks to lots of sweet touches that convey your feelings while telling the wearer just how much they mean to you. This beautiful engraved necklace combines many lovely details into a single, meaningful pendant that looks amazing every day of the week. The front features your choice of a popular song quote or free text that you provide. The quote is repeated over and over, creating a touch of texture and the perfect amount of contrast. The pendant is pierced with two cutout hearts, one larger than the other. But that’s not all! 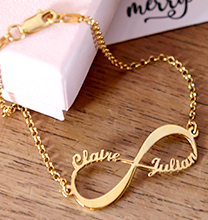 The back of the necklace can be personalised too, with free engraving of your choice. 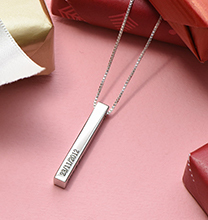 Add names, add another meaningful quote, or simply say “I love you.” The options are endless – and the special meaning makes this necklace one that will be treasured for years to come. 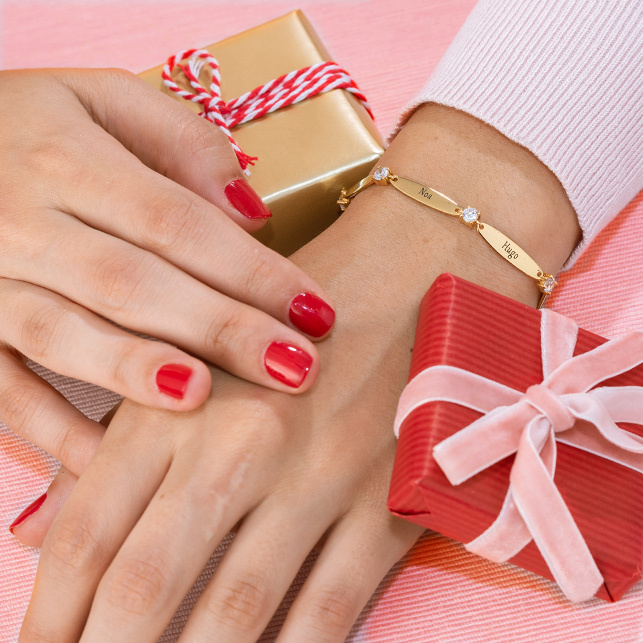 Perfect as a Valentine’s Day gift for that special someone, it’s also the ideal anniversary gift for your significant other – and it’s versatile enough to serve as a special gift for mum, grandma, or anyone else who holds a place in your heart! 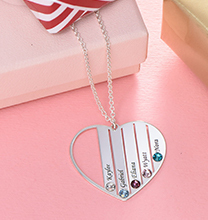 This beautiful necklace is made with 0.925 Sterling Silver. The pendant hangs from a matching Sterling Silver Rolo Chain. We invite you to view our disk and circle necklace collection for additional styles, including this heartfelt design in your choice of 18ct Gold Plated and 18ct Rose Gold Plated. There’s lots to love!